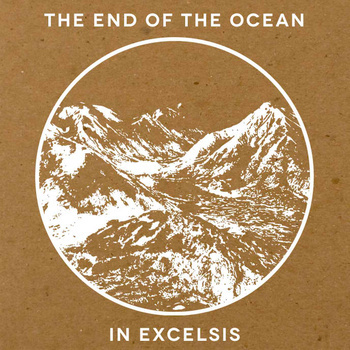 Columbus, Ohio based The End Of The Ocean release their follow up to the excellent Pacific Atlantic, the name of this latest release is called In Excelsis, which is Latin for ‘in the highest degree’. The music on this release is in the highest degree, great songs, great sound, great production. 5 well crafted post-rock songs coming in at just under 26 minutes in length. Future Recordings continue with the innovative treatment for this release with a CD release that also has a lathe cut vinyl track on it. There is also a standard CD, 12″ vinyl and also the now standard digital release. Ok but what about the music, well songs range in length from a very short two minutes to a mid length 7 minutes. The two tracks that I played on the show were the opening two tracks on the album, On Floating and Star-Crossed. Both these tracks are real powerful songs, with nice quiet moments and very nice loud passages as well. They keep the music interesting with twist and turns, changes in tempo, rhythm and they keep the music on track, it always seems to be going somewhere. Track three seems to me to be an interlude as it has mostly quiet moments, this is just to lull you into thinking that all the loud bits are over, well the last two tracks on the album come at you with all guns blazing with a sound that is definitely The End Of The Ocean. I wondered how the follow up to Pacific Atlantic would sound and would they be able to stay at that level. Well I believe that they have done an amazing job on this release and it will definitely be in my top half of top 10 releases of 2012. So thank you to Kevin, Trish, Bryan, Tara and Wes for an amazing release, the only one regret I have is that I didn’t get to see them playing live for this album release tour. They had a gig in San Antonio, but it clashed with a special edition of Fade To Yellow that I had to do. Next time for sure, maybe SxSW in 2013 is a reality. The End Of The Ocean is an instrumental post-rock band based out of Columbus Ohio. Engulfing listeners in waves of eerie nostalgia and sorrow, the ambiance of The End Of The Ocean becomes a self-voyage of life’s ebb and flow unfailingly finding a beacon of hope at the horizon. This entry was posted on July 25, 2012, 9:12 pm and is filed under Playlists. You can follow any responses to this entry through RSS 2.0. You can leave a response, or trackback from your own site.